Tools like scissors and knives are often used when propagating and caring Haworthias. It is important to sterilize the tools to prevent pathogen infections. Isopropyl alcohol solution (often branded as rubbing alcohol) is not very effective at killing pathogens that infect plants. A thorough method is to soak the tool in a ~1% sodium hypochlorite solution (often branded as bleach) for ~3 minutes. 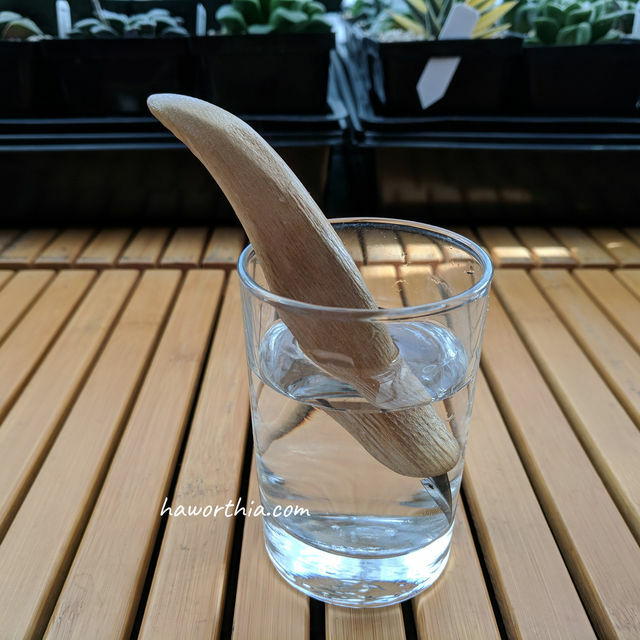 Carving knife is a flexible tool in plant caring.